The bank must pay a security deposit to cover a potential fine for alleged money laundering, a Paris court ruled. UBS AG, Switzerland’s biggest bank, must pay a 1.1 billion-euro ($1.4 billion) security deposit required by French investigators, a Paris court ruled. The appeals court today upheld the bond request, made in July to cover a potential criminal penalty for alleged money laundering, a court official said. Under the original order, the payment was due by the end of this month. A further appeal would push back the deadline, the same official said. “UBS is very disappointed at the decision,” the Zurich- based bank said in an e-mailed statement, adding it will appeal the ruling. It will also fight the underlying investigation, it said. UBS shares fell 1.5% to 16.37 Swiss francs in Zurich, bringing the decline this year to 3.3%. Investigative judges in Paris, led by Guillaume Daieff, demanded the deposit after settlement talks broke down in July when UBS balked at pleading guilty, two people familiar with the events said last week. The French legal system only allows settlements in conjunction with a guilty plea, an admission UBS was concerned might hamper its business in the U.S., according to the people, who asked not to be identified because the circumstances are private. Chief Executive Officer Sergio Ermotti said in a Bloomberg Television interview on July 29 that the bail “makes no sense,” adding UBS had been in talks for a “double-digit million” settlement. The UBS case serves as test of France’s tougher approach to combating alleged tax fraud. The government forecasts its efforts will yield almost 2 billion euros in back payments and fines from tax dodgers this year and next, not including any UBS penalty, a finance ministry official said. French investigators are also looking into whether HSBC Holdings Plc units encouraged tax evasion. No charges have been filed in that case. HSBC had about 3,000 French customers with as much as $5 billion invested at its Swiss unit, according to a July 2013 parliamentary report. Customer data provided in 2008 by Herve Falciani, a former HSBC software technician in Geneva, led to the French probe. France first brought criminal charges against UBS and its French unit in mid-2013, accusing both of illegally soliciting clients in France. The French subsidiary was fined 10 million euros in June of that year by the banking regulator and reprimanded for control lapses that may have enabled some clients to evade taxes. 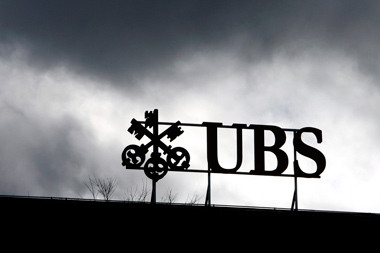 In July, the judges also put UBS under investigation for laundering the proceeds of tax fraud. The bank paid about 300 million euros to the German state of North Rhine-Westphalia this year to settle a probe into whether it helped clients evade taxes, and faces another by authorities in Mannheim. The bank is under investigation in Belgium on suspicion of money laundering and organized crime. The French tax authority is also looking into UBS’s dealings, and could make a separate claim at a later stage, three people with knowledge of the situation have said. UBS will challenge the judicial process, including the right to a fair trial, at the European Court of Human Rights, it said in today’s statement. “The chances to win a case at the European Court of Human Rights are slim, very slim,” said Rainer Schweizer, a law professor at University of St. Gallen in Switzerland. The court accepts about 2.5 percent of the cases brought from Switzerland, and the success rate is about 1.5 percent, he said.